It’s hard to imagine a time when “the cloud” didn’t exist. But just think back to over a decade ago, and you can probably remember some of the quirks and nuances of how business used to get done when it came to hosting, storing, and accessing data. When cloud computing first arrived on the technology scene, very little was known about the future of cybersecurity and what the potential issues of hosting data on the cloud could be. For IT departments and CFOs everywhere, the concern of cybersecurity was front and center. As time has passed and our understanding and use of the cloud has increased, those initial concerns have, for the most part, transitioned into a trust and dependence on the cloud. More than 75 percent of CFOs today are using the cloud in one form or another. In fact, it isn’t a stretch to say that cloud technology has become the new core of applications and data practices. Which, all things considered, makes the need for security in the cloud more important than ever before. If the issue of security and the cloud falls within your range of responsibilities, there are a few things you should be thinking through as you make decisions about data hosting. A well-qualified cloud provider will host data and applications in a location that is physically secure as well as offering comprehensive online security. Data encryption should happen at rest as well as in transit, and infrastructures should be kept current. Trained, knowledgable security personnel should be part of the package as well, with standard controls, policies, and separation of duties firmly in place before a cybersecurity incident occurs. Can you answer the following questions with confidence? If you find yourself pausing on any of the questions below, it’s time to rethink your approach to security and the cloud. What is the level of cyber threat your organization faces today? How would you rate your current exposure to a potential breech or threat? 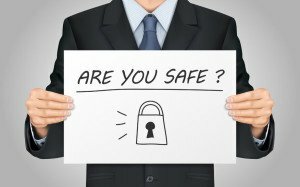 How much risk of exposure to threat is your organization willing to accept? Does your current or prospective cloud provider agree with your assessment of risk? Can you name the policies and processes in place to prevent, avert, identify, contain and react to a sudden cyber threat or breech of data? If not, where would you start? In the event of a breech, how prepared is your organization? How prepared is your cloud provider? Does your current or prospective cloud provider regularly invest in testing technology and practicing safety checks to reduce your organization’s risk of downtime in the wake of a breech? Does your organization have an independent plan in place to minimize delay in the event of a cyber attack? What is your cloud provider’s plan, and how well do the corresponding plans work together? How effective are the communication channels between your organization and cloud provider? Who will establish control in the event of a breech? While there are many things to consider when it comes to security and the cloud, above all is the priority of keeping your organization and its clients protected. Here at Broadline Solutions, we are experienced information technology consultants. We connect end users with the cloud, colocation, and connectivity technology they need to stay safe while doing business. In addition to providing consultation and direction on these important issues, Broadline Solutions is also an active advocate and collaborator for technology strategies. We draw from our experience and our partnerships to negotiate agreements with a variety of technology providers, both domestic and global. Is your organization safe from cyber threats? If you’d like help answering any of the questions we’ve listed here, contact Broadline Solutions to get started.